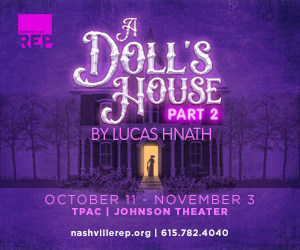 Picking up fifteen years after the events of Henrik Ibsen’s classic A Doll’s House, this play examines what happens when Nora reopens the door to her family life that she closed so long ago. Finding herself in a legal bind, Nora returns to the husband and children she left in pursuit of her true purpose. The broken family must now confront the complexities of feminism and the price of independence – if it can be attained at all. Price: $25 - $52.50 for tickets please click HERE. Pets: Pets are not allowed inside the Tennessee Performing Arts Center, with exception for service animals.